Here’s a type tribute we don’t see too often, Compliments of NASA! 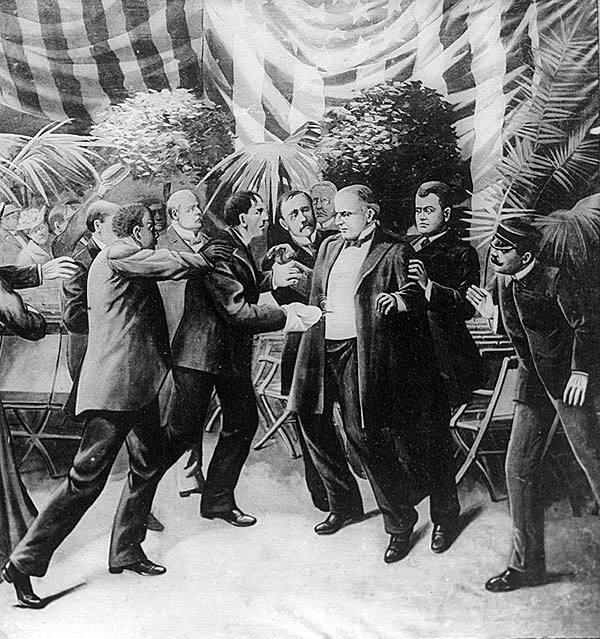 The song is familiar to every American, but the moment and place where it was composed are less so. 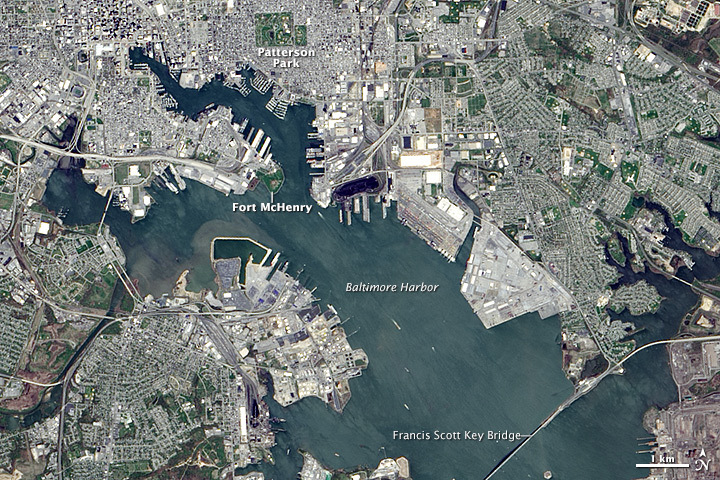 On April 24, 2014, the Operational Land Imager (OLI) on Landsat 8 captured this view of Baltimore, Maryland, and its harbor. Fort McHenry and its star-shaped ramparts—the place where “that star-spangled banner yet wave[d],” on September 14, 1814—stand at the entrance to the city’s Inner Harbor. The area was a pivotal battleground in the War of 1812. Here’s what’s been going on recently in my neck of the woods! It’s an awesome sight to see the all the “tall” ships scattered along the coast. Puts our size into perspective. Enjoy a few photos via San Diego’s Union Tribune. With news that our comrades from down under will be joining the US coalition against ISIS, I’d like to recognize their part and offer this gallery as a tribute to their military throughout history. Keep your heads on pivot, watch over your brothers/sisters in arms. God Speed. Be safe and thank you, Warriors. 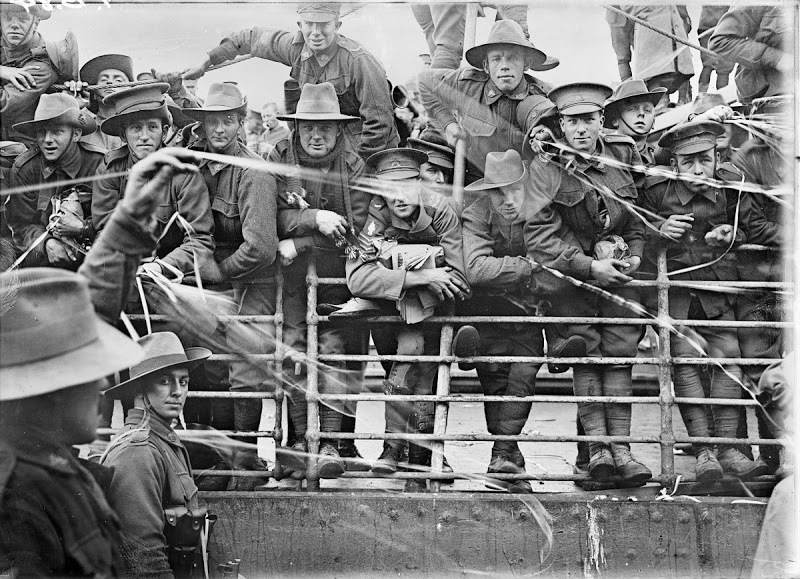 In 1916, The Australian transport ship Ajana was used to bring soldiers to their overseas destinations.